Description: The Maverick takes the amazing Warrior asymmetric core and modifies it to create more backend hook. The high differential will create extra flare which aides in providing outstanding continuation. Pair this with the GB 14.0 Solid reactive coverstock, finished at 500/2000 Abralon, and you’ve got a ball that will create traction in the heaviest of oil. 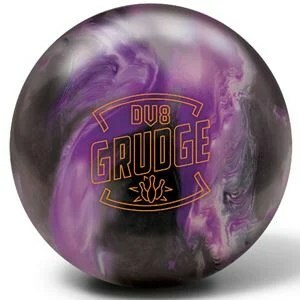 The Grudge Pearl complements the original Grudge, by giving a bowler more length down the lane with the continuous roll that is known for the Grudge line. Like my original Grudge, the Grudge Pearl is drilled pin up between my bridge. The result is an exceptionally smooth rolling ball through the heads with tremendous amount of roll and hook at the pin deck. The ball motion is very clean through the front part of the lanes, while maintaining a tremendous amount of hitting power. This ball maintains its motion at the break point and through the pins, with incredible predictability…. 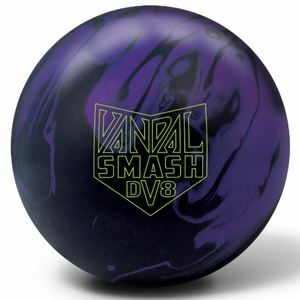 Description: The DV8 Grudge Pearl bowling ball features the beloved Grudge Low RG Asymmetric core which was included in the Grudge and Grudge Hybrid. This is the strongest core ever from DV8 and will provide maximum flare and hook. The new part of the equation is the Composite Hook Pearl, finished at 500 Siaair/Crown Factory Compound. This shiny pearl coverstock with composite technology will create the strongest, most angular pearl in DV8 history. The Columbia Melt Down combines the Bring-It MAX coverstock and the SD Medium RG symmetric core to create an aggressive ball for heavy oil conditions. This ball is suited for most any bowler and provides great traction and continuation when needed. As an added bonus this all really pops on the lanes. Columbia 300 Bowling Balls – On eBay Click Here! Brunswick Mastermind Intellect gave us a medium slide through the heads with a longer and smoother transition to hook in the mid-lane along with a strong and smooth ball motion on the back part of the lane… This ball had good continuation that was controllable. The Brunswick Mastermind Intellect will need oil to perform as designed and is best used on medium to heavy oil patterns.. The Mastermind Ultra Low RG Asymmetric Core is designed for an angular motion with a low RG/High Differential/High MB Differential. This design transfers the most energy to the pins for higher pin action and scores. Combined with the Honor Roll A+ Solid coverstock that offers unparalleled traction in the midlane and backend from Brunswick, and you have an absolutely brilliant ball that eats oil. Finished to a 500 Siaair Micro Pad/Royal Compound factory finish and you have an incredibly aggressive motion that allows you to open up the lane in ways never thought possible. The Mastermind Intellect is built from the core-out to be your go-to ball for outsmarting the oil and becoming Valedictorian of your game. Brunswick Bowling Balls For Sale – On ebay.com Click Here! Description: Are you ready to Throw Down with Columbia 300? You can bring it with the Bring-It Solid coverstock that has a polished finish. This combination provides length and recovery on medium oiled lanes. This ball uses the Smack Down core to provide medium RG that will get your ball further down the lane and high differential that creates awesome continuation. The new Columbia Throw Down provides great length and continuation without losing any control or hitting power. 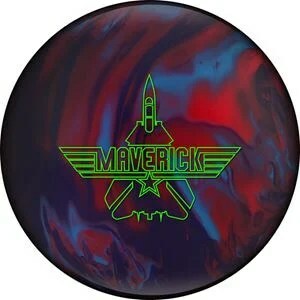 This ball pairs well on medium to dry lane conditions.